As Melbourne Metro works ramp up across the entire network, some areas are feeling left out of the proposals. While all lines are being worked on, it is being argued by some in the community that there is even more work to be done. For example: on the Upfield line, which comprises stations such as Brunswick and Jewell, the council is pushing for bigger Skyrail projects, which would aim to remove a whopping 12 level crossings in one go. Thus far out-doing the 9 currently being removed across the Caulfield-Dandenong line. Along with the Upfield Line, the many works occurring along the South Morang line is seemingly not enough for councillors, with a further 4 stations being proposed to undergo the Skyrail treatment. Above-ground rail has become somewhat of a controversial topic in some areas. However the convenience it offers not only to commuters, but also to people used to driving in traffic jams in peak hour is becoming more desirable, as the population continues to creep up in Melbourne and Greater Melbourne suburbs. Roads and rail cannot handle the current and increasing demand and must be upgraded. Rosanna station along the Hurstbridge line is a good example of how efficient the above-ground rail option is at easing traffic and moving station design aesthetic into the 21st century. The career opportunities that have been opened up by the continuing rail works include everything from design and architecture positions right through to rail, construction and site manager jobs. 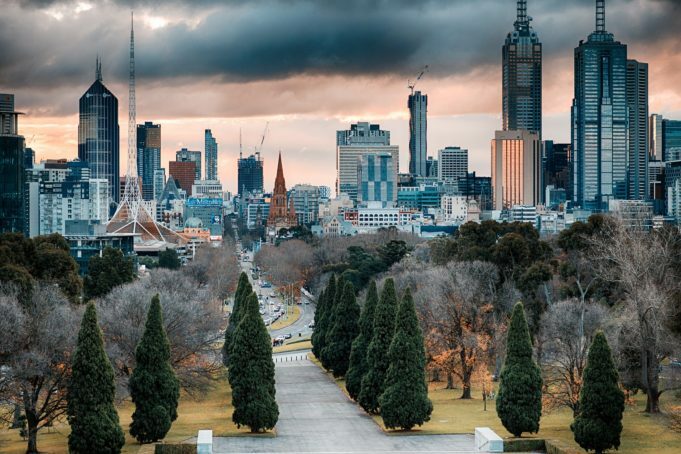 This means that not only is Greater Melbourne getting the refresh it truly deserves, it is also opening up the chance to retrain and gain new skills in new areas for people looking for jobs all across different industries. Considering the initial aversion to Skyrail, the progress that it has made is now being requested by people living and working in these different areas. While it may initially affect property prices during the works, when they are done it is set to return to original value or even increase value thanks to the modern upgrades. Some of the older areas would also benefit from the proposed rail upgrades thanks to living in quite cramped areas. Brunswick has many old houses, many without carparks or backyards. A brand new station along a slick modern line would be a new drawcard and refreshing aspect to these older and somewhat ignored areas. Over the years they have suffered hits to their reputation due to factors such as drug usage and crime levels. New trains also hitting the lines, increased services, along with a big focus on upgrading the lagging signalling system and fixing the many faults along all the lines will prevent everyday commuters being hit with massive delays, cancelled trains and overcrowding, which has become an all-too-common feature riding the Melbourne Metro. In Tokyo, if trains are late (which they very rarely are) commuters are given the money for their ticket back or a small receipt stating to their employers that they were on a faulty train. Commuters are now calling for a system like this to be introduced in Melbourne. However, if upgrades are implemented effectively it is hoped it will not be needed. Time is needed to completely transform the face of the Melbourne public transport system. However the continuing commitment to improvement across all lines in the Melbourne Metro is going to benefit Melburnians for many years to come.